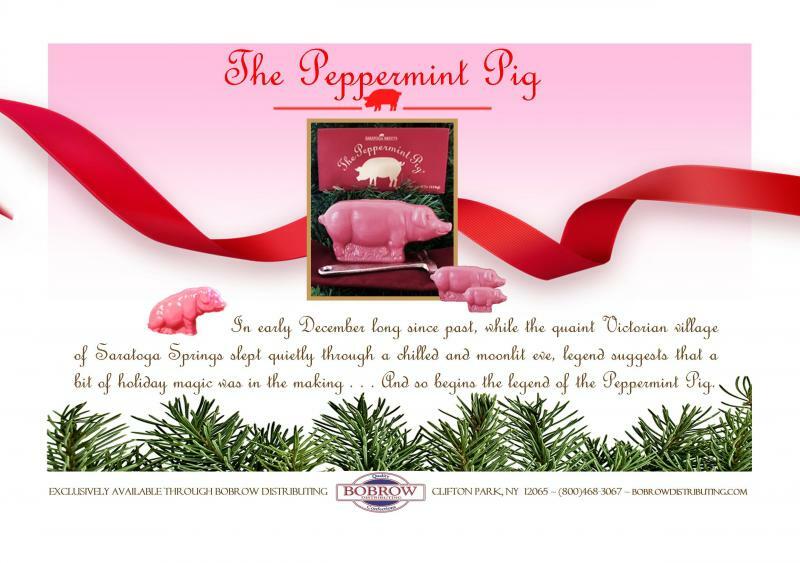 Click here to contact us about the Peppermint Pig! 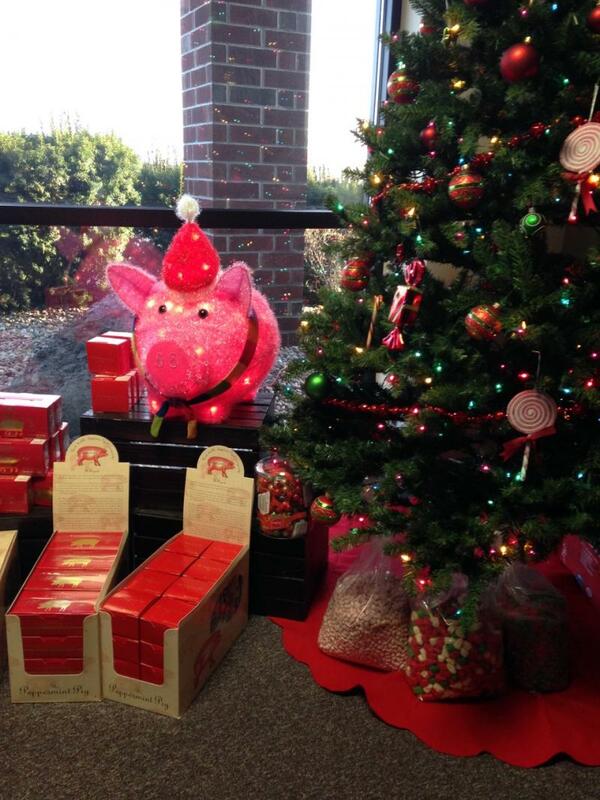 Bobrow Distributing is the excluisive distributor for the famous Peppermint Pig! Known to bring good luck, these pigs have been enjoyed by families for generations. In early Decembers, long since past, while the quaint Victorian Village of Saratoga Springs slept quietly through a chilled and moonlit eve, legend suggests that a bit of holiday magic was in the making . . . The first dusting of winter's snow, gathered in darkened downtown doorways and twirled by night's wind, seemed to dance and whirl like sugarplum fairies. Behind the oaken doors of gingerbread-sized candy shops that dotted Saratoga, tireless old candy makers, bathed in the amber glow of crackling hearth and bubbling candy pots, labored on into the night creating . . . and continuing a holiday tradition known to all as the "Peppermint Pig".